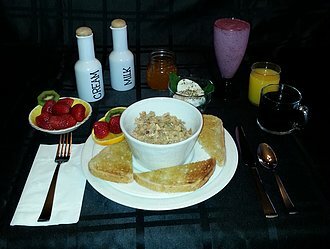 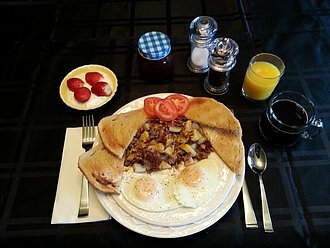 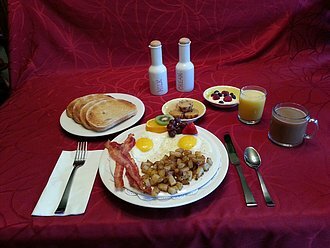 Eggs, bacon, home fries, fruit and yogurt, toast, muffins, juice and coffee or tea. 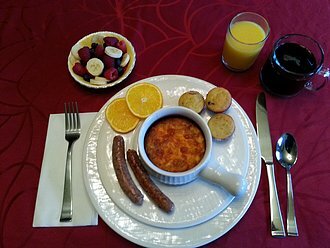 Breakfast casserole consisting of Ham, potatoes, eggs, cheese and spices, local breakfast sausage from 'Robbie's sausage', fruit, muffins, juice and coffee or tea. 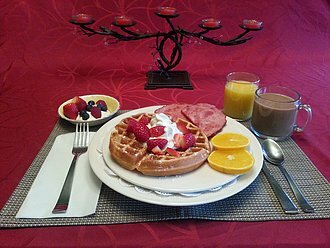 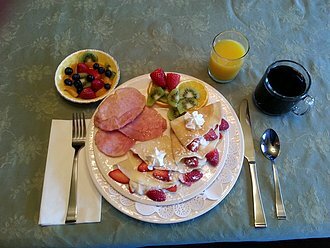 Waffles, with whipped cream, fruit, yogurt, slices of ham, juice and coffee or tea. 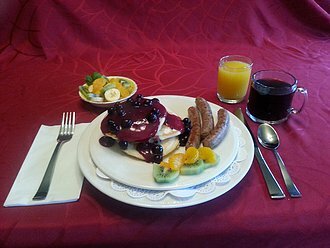 Pancakes with blueberry topping, fruit, yogurt, local breakfast sausage from 'Robbie's sausage', juice, coffee or tea. 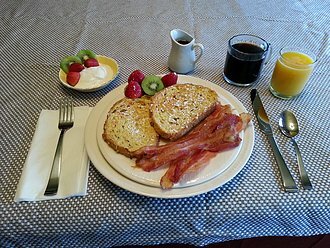 French Toast with real maple syrup, fruit and yogurt, bacon, juice, coffee or tea. 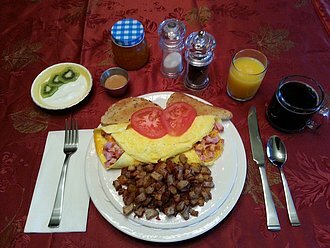 Omelette, home fries, toast, fruit, yogurt, juice, coffee or tea.